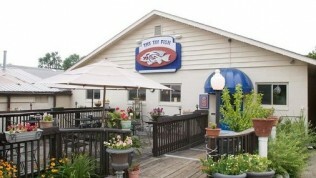 13 YEARS of success at Tin Fish Newburgh in Indiana. Tin Fish Gaslamp wins most atmospheric eatery in Comicon, for the second year. San Diego Reader’s Ed Bedford can’t seam to get enough of Tin Fish Gaslamp in San Diego, California! After searching through the downtown Gaslamp area for a great dining experience that boasted the Comicon theme….he found himself back at Tin Fish for the second year in a row. When it comes to Comicon…Tin Fish Gaslamp goes beyond what diners just wouldn’t expect from a seafood restaurant! 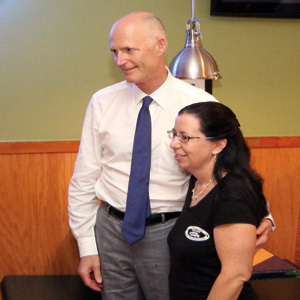 Read On..
A special THANKS goes out to Greg and Debbie Beutel, owners of The Tin Fish Port St. Lucie Blvd. 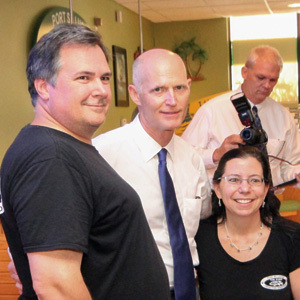 for providing incredible service, awesome experience and delicious food to Governor Rick Scott and his team early this week! They loved their visit. Great job team! 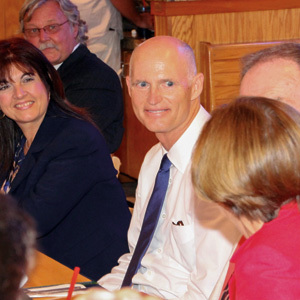 Governor Rick Scott’s participated in an economic affairs round table discussion Monday afternoon at the Torrey Pines Institute for Molecular Studies in Port St. Lucie. Close to PETCO Park and other exciting venues to visit…. Tin Fish Gaslamp in San Diego is unbeatable! San Diego is famous for its fish tacos, and there are lots of places to sample the local specialty. 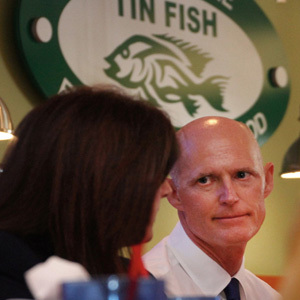 But for tourists looking to combine convenience with quality at bargain prices, it is hard to beat Tin Fish! Read More. Fresh Seafood? 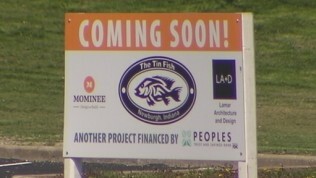 In Newburgh, Indiana?